Cleaning the house is something that none of us want to do. It really is no fun, but it is one of those things that we have to do. I am one who gets a lot more cleaning accomplished when I have music playing. However I struggled with being able to hear the music every where I went in my house. I have had a few speakers where I could move them around with me but that really gets annoying and slows down my mojo. Then anytime the music wasn’t loud because the speaker didn’t have quality volume I would have to stop cleaning and go move the speaker to where I currently was. 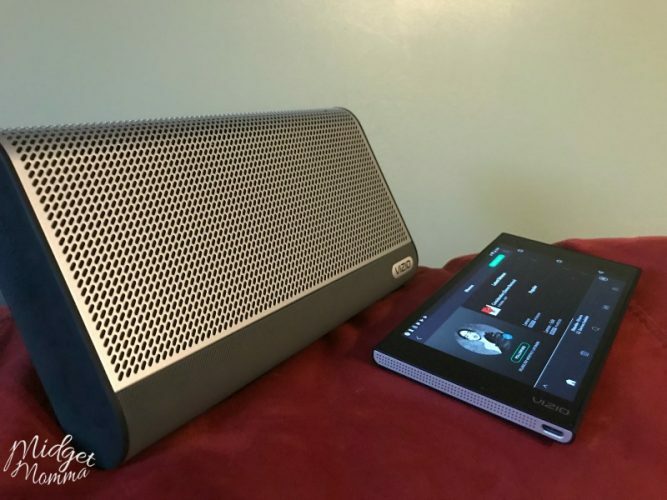 I have been on the hunt for a while now, for a speaker that would solve my problems and I got really excited when I found the VIZIO Crave Go Speaker! 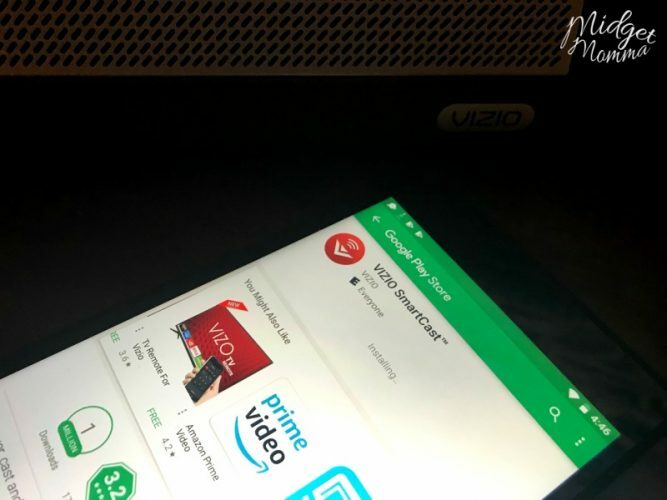 Recently I was introduced to the VIZIO Crave Go Speaker, when they sent me one to try out. I am in LOVE with this speaker! I can clean the upstairs and hear my music in every room, then when I move to cleaning the downstairs I can bring it with me and hear it in every room there too! The sound quality is AMAZING! Even better, it literally took me 2 minutes to set the speaker up and it can be used with any mobile device or tablet! All you do is plug it in and then download the Vizio app. Once you have the app you connect your device to the speaker with bluetooth. Then you just use your favorite music app to blast that music thru out the house! I personally like Spotify because I can log in to my Spotify account from any of my computers, tablets or my phone and have all my playlists right there with all the songs I love. It makes life so much easier to have all of my favorite music on one spot! I also love that I can set up multiple devices to be able to use the speaker. That means that even the kids can set up their devices to listen to music when they are doing their cleaning. I swear, music helps motivate and get the cleaning done for everyone, not just moms! 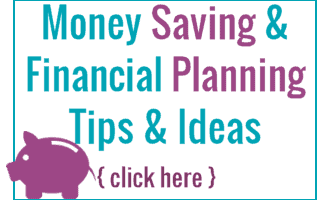 Are you looking for more ways to make your house cleaning easy? 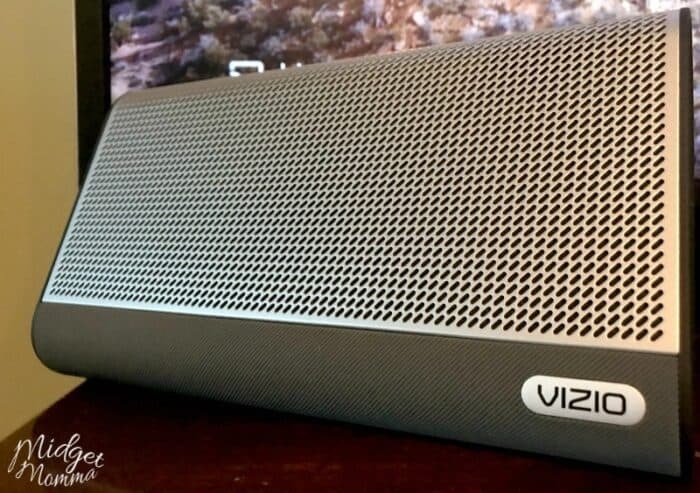 Check out these awesome posts and make sure you also get yourself a Vizio Crave Go Speaker so you can blast your favorite music and get all that cleaning done! Disclaimer: This post is sponsored by Vizio. All opinions are 100% my own.